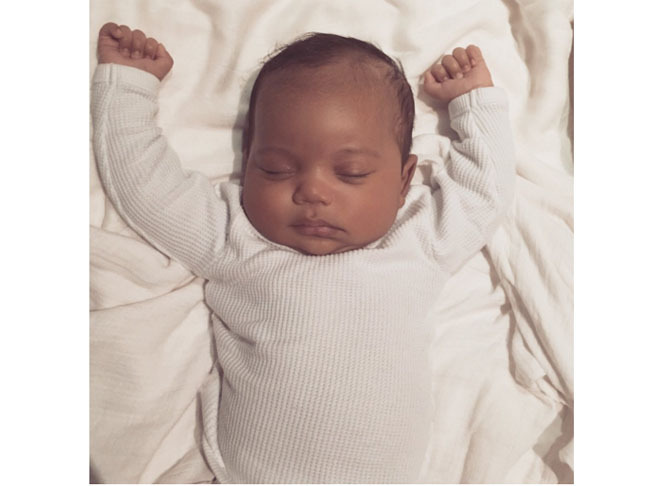 Stop whatever you’re doing and take a look at this adorable picture of Saint West! Last month, Kim shared an adorable photo on her website of Saint squeezing his big sister’s finger — “He’s my best friend,” 3-year-old North said — but this is the first full photo of the gorgeous little boy, arms up and deep in sleep. He’s quite a little cutie!